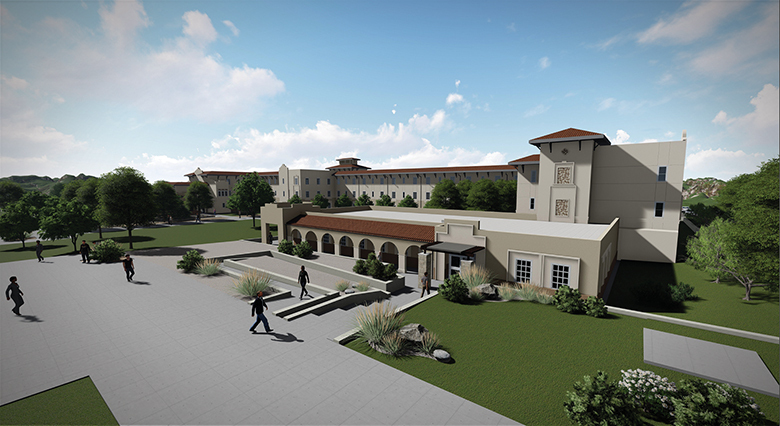 NMSU’s new residence hall broke ground in April 2018. The $21.5 million, 300-bed residence hall is being constructed on a portion of the land that was under the 550-bed Monagle Hall, which was demolished in 2017. Revenue bonds issued by NMSU will fund the project. The bonds will be repaid using housing fees from students who will live in the building. It is expected to open in fall 2019. Devasthali Hall is named in honor of Ammu and Rama Devasthali, who championed the project for a new arts facility for several years. Construction started in March 2018, and the building is expected to open in fall 2019. 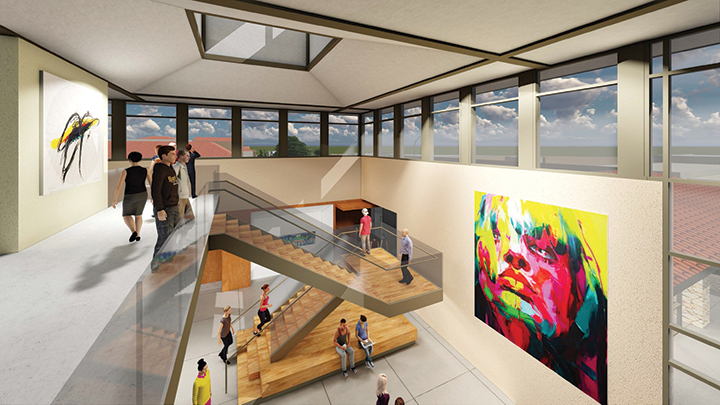 The $22.5 million approved by voters in 2016 as part of General Obligation Bond C will pay to replace D.W. Williams Hall, the nearly 80-year-old converted gymnasium, which houses NMSU’s Department of Art and University Art Gallery. 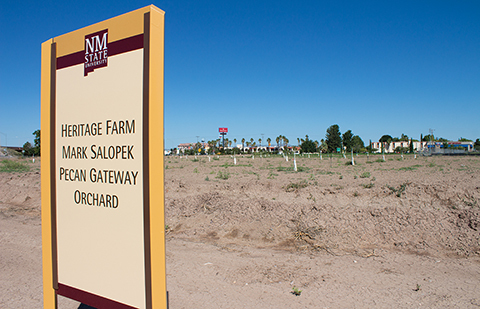 The NMSU Heritage Farm site spans 10 acres and is located off College Avenue, southwest of the Las Cruces Convention Center and west of Union Avenue. The farm will function as a gateway to welcome tourists and community members to campus and showcase NMSU’s agricultural roots as well as advance current research. 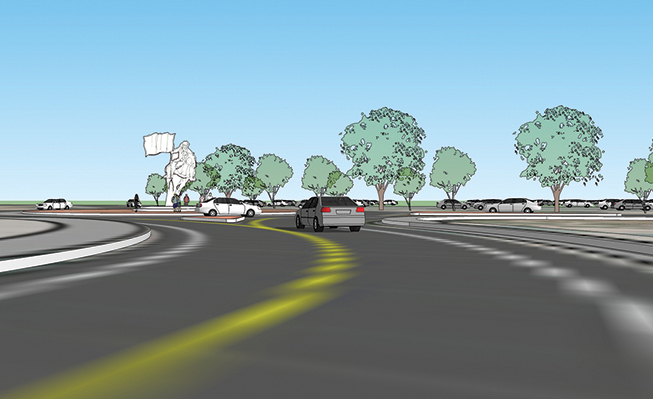 Starting in 2019, construction will begin on new entry points to the NMSU campus from I-25. 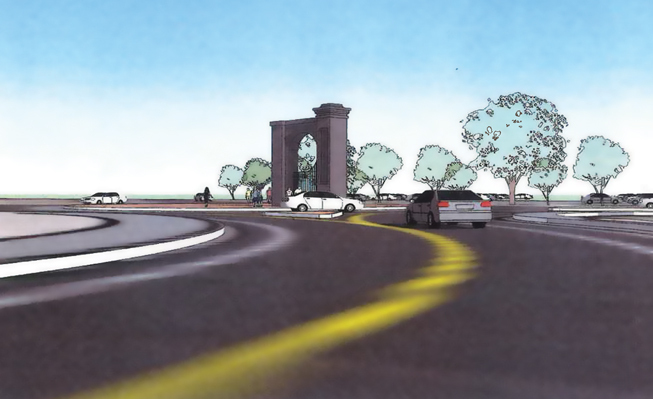 For example, the entry off of Triviz Drive will turn into an underpass beneath University Avenue with a new roundabout. No decisions have been made regarding what will go inside the circle. NMSU plans to seek opinions and have a broad conversation with the university community, faculty, staff and students. 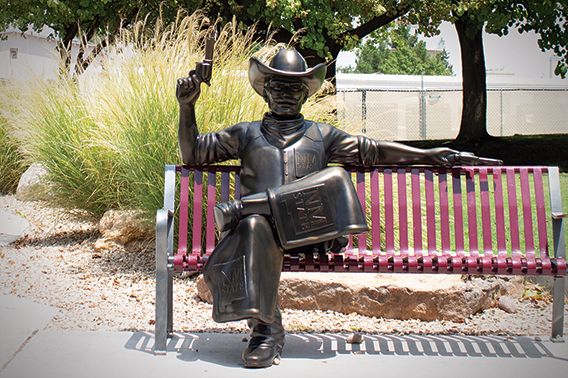 Made in the likeness of current Pistol Pete mascot, Caleb Gustin, this bronze statue in front of Corbett Center Student Union and installed in late July 2018, serves as a new pride point on the Las Cruces campus. Both the NMSU Foundation and the Chancellor’s Office provided the $25,000 needed to commission the art project. To see more photos, search the hashtag #pistolpetepix on Instagram or Twitter.